I am back to ripping paper! 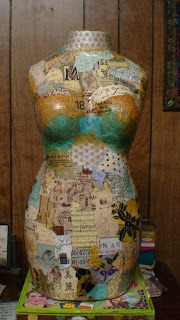 My friend, Minnie at http://herminnie.blogspot.com/asked me to make a torso for her that she could display some of her jewelry pieces on. She wanted something with muted colors. 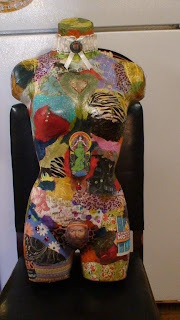 This torso is about 22 inches tall & Minnie, I hope you like what I came up with. 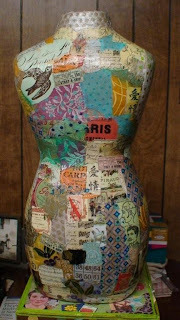 My next project.....a Giraffe!Can't wait to start that one! Happy Sunday Everyone! I went to the book store a couple of days ago to pick up some new Somerset magazines. One that I grabbed was Somerset Apprentice. There's some wonderful projects in there with great instructions. 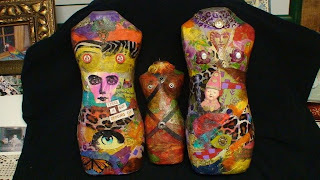 I am intrigued with Gesso & I found a project by Michelle Ward ( http://michelleward.typepad.com/) called Gesso Resist. 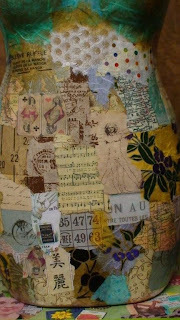 The procedure is to apply gesso to a rubberstamp & stamp on unprepped paper (I used watercolor.) You let the gesso dry for at least one hour. Apply acrylic paint over that & spritz with water while still wet. You need to move fairly fast. 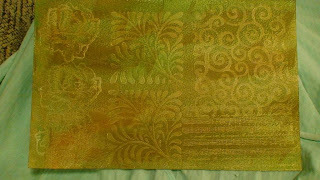 Once you've spritzed with water, buff away with an old cloth......and this is what you get. I even purchased some black Gesso to give that a whirl also. Have a great day everyone! I am posting another page today that I put together for my nameless little book. 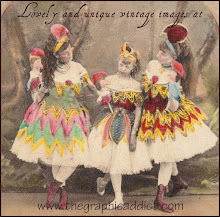 Can you tell I love vintage images? I was thinking back to some of the fun things I remembered in my childhood. 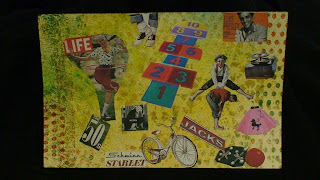 Used to love playing jacks, hopscotch & the hula hoop. I also remember my little record player that played Elvis 45's constantly. Loved Elvis, Little Richard & Chuck Berry! I hope you see something in here that brings back some pleasant memories for you also. Good Saturday Morning! It's a rather gloomy in Southern California today so I think I will use that as an excuse to play all day! This is another page I did yesterday. 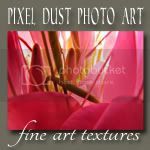 I used a mixture of Glimmer Mists & Memories Mist to do the background. The rest is collaged. 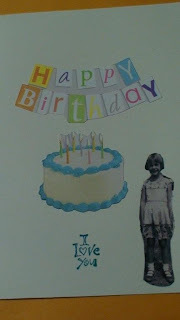 Today is my brother's 48th birthday...Happy Birthday, Brother!! He is celebrating today in Washington. I hope he has a wonderful day & I sure wish I was there! This is the card I made for him. 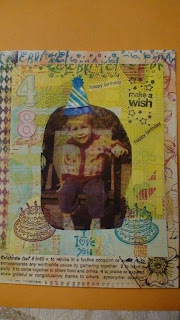 I did an image transfer of him on the front at age 2 or 3. 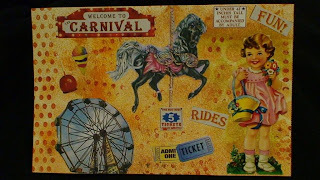 I did an image transfer of me (inside) at age 6 or so. What a great Saturday yesterday. 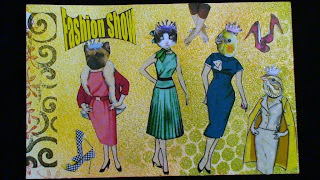 I attended the Carson Ca rubber stamp show with friends, Minnie & Yvonne. We had a great time & all walked out with a pretty big bag of goodies. I'm so anxious to try some of my new stuff. I am posting one of the pages I did for my book which really has no theme. I seem to just wander aimlessly until I put something together that appeals to me. Animals definitely appeal to me! Sometimes I like to go from pretty to goofy! It's more fun that way. HAPPY SUNDAY! 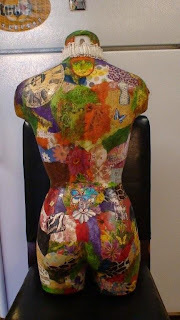 These are some mannequins that I decorated approximately 2 years ago. 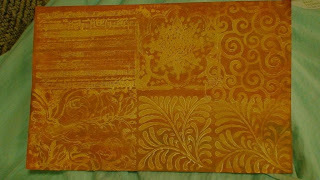 I had such fun doing this that I did one large one (32") & 3 smaller ones (12"). I guess I never posted these as it was before my blog days. Also....I did a few little goofy things on the big one...as you can see! They were sooo much fun to do. Just recently on one of my trips to the hospital I saw a small giraffe (around 5 ft tall) that was decorated in this same manner. I would love to get my hands on one of those little giraffes. It was absolutely adorable. 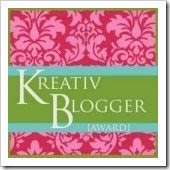 Lucky me....I received this Kreative Blogger award from Lisa at http://mudhoundprimitives.blogspot.com/. Thanks so much for this lovely award, Lisa! I am to list seven things that I love or that inspire me. I understand that some bloggers would rather pass on the blogger awards & I totally understand that. Good morning everyone! I am going to try & get back in the swing of things now. My husband is home from the hospital & doing much better. 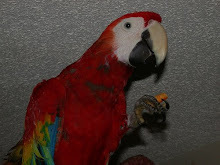 He will see the cardiologist Thursday for a stress test so I am hoping all turns out well. Thank you for all your kind comments. I love my blogging friends & feel very fortunate that you've all touched my life. 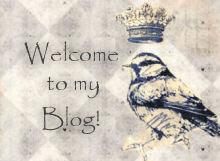 One of my favorite blogs EVER is, http://tweedles-georgie.blogspot.com/. This blog brings me so much joy...I LOVE Tweedles! 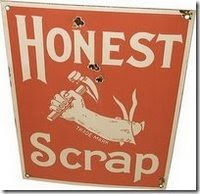 Tweedles has passed on the Honest Scrap Award. When accepting this auspicious award, you must write a post bragging about it, including the name of the misguided soul who thinks you deserve such acclaim, and link back to said person so everyone knows he or she is real. Choose a minimum of 7 blogs that you find brilliant in content or design. Or improvise by including bloggers who have no idea who you are because you don’t have 7 friends. Show the 7 random victims’ names and links and leave a harassing comment informing them that they were prized with “Honest Weblog.” Well, there’s no prize, but they can keep the nifty icon. List at least ten honest things about yourself. Then, pass it on!" 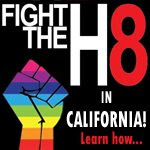 1) I believe in equal rights for all, regardless of color, sexual preference, religion etc. 2) I love sunrises & sunsets. 3) I love love love animals. 6) Rude people in general irritate me. 8) Still enjoy metal jammin rock n roll. 9) The smell of my jasmine blooming is wonderful. 10) I love the early early morning with a cup of coffee & the newspaper. Good morning! 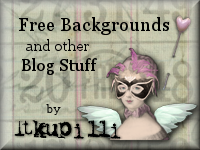 It feels very weird that I haven't had time to post anything on my blog for a week. I came home from San Francisco to my husband in the intensive care unit of the hospital. He had a blood clot that traveled from his leg to his lung & they are attempting to dissolve it. I am back & forth to the hospital & needless to say, I have put the blog on the back burner for a moment. They did put him in a regular room last night so that's a plus. I have been lucky enough to receive a couple of awards in my absence & I will post those very soon. I want to thank my dear little friend, Tweedles of http://tweedles-georgie.blogspot.com/ & Lisa at http://mudhoundprimitives.blogspot.com/ I thank you both so much!